We have captured some of the most remarkable images of our rescued animals, showing unique and moving moments; for example, when animals first tasted freedom. A moving, poignant, and often uplifting selection of images, beautifully presented. Photographs are printed to order, signed by the rescuer or photographer, and accompanied by a letter explaining the story of the image. 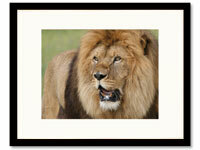 Each comes in a classic black wood frame (16” x 20”) with white mat. Click here for more details, and other images.